Edit the gallery of your choice. 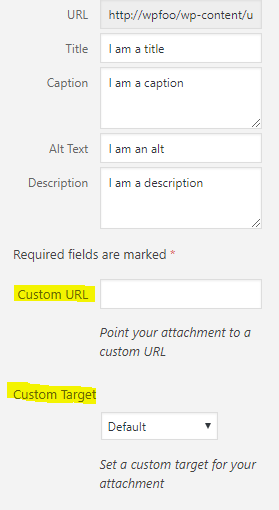 Edit the custom URL to be the external/internal custom URL of your choice. Edit the custom Target if you want the link to open in a new tab or redirect the current page that the user is visiting. Close the media modal popup when you are done editing all the attachments you wish. Save your gallery and you are done! 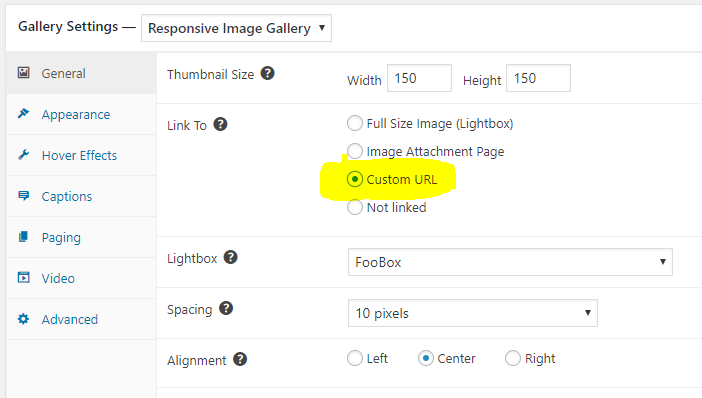 If thumbnails in your gallery have a custom URL or custom target set, then they will now use those attributes. If not, then it will fallback to opening the full-size image as before.